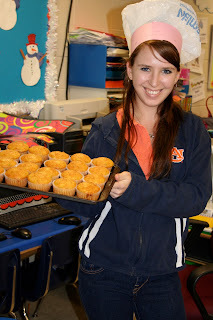 Our student teacher Mrs. B. started her 10 days of teaching this week and she did fabulous with the kids. I am so impressed. The kids love her! She taught us about community helpers this week. To end the week our school celebrated our annual Career Day. Here are pictures of her teaching, the kids learning, and us just having fun! Okay, so there are a ton of pictures, but we just had so much fun this week I couldn't help myself. Enjoy! 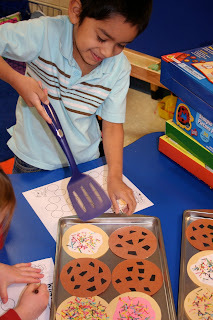 Being bakers, flipping cookies to read color words was so much fun! Covering cavities because we don't want those. We had to roll a die and a +/- cube to add or take away. They loved this game. We pretended to be mail workers by opening mail and reading number words then writing the number. 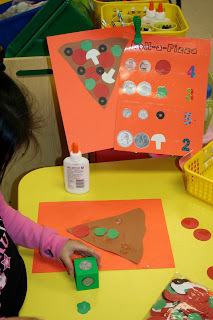 We rolled a coin die to buy pizza toppings for our pizza. Mrs. B. has been teaching us how to tell time to the hour. We played this fun game to practice reading clocks. We are also working on "how many more" so we built towers then decided the answer. Some of us in our cute little tool belts after learning about construction workers. Still lovin' the roll a word game. Here we are opening more mail, but this time reading sight words. In this game we practiced spelling CVC words. I found these cute cookies at Target and knew I could use them for something. 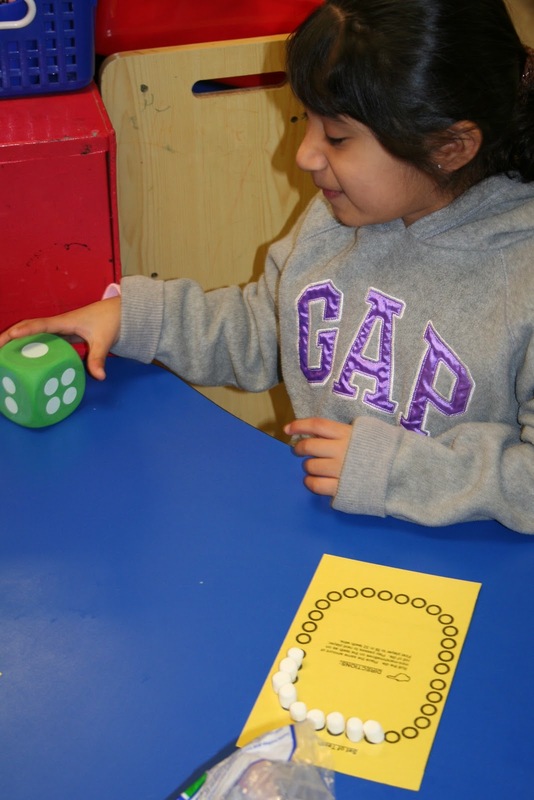 We flipped them to read sight words and at this station we had to write them. Mrs. B. in guided reading groups. 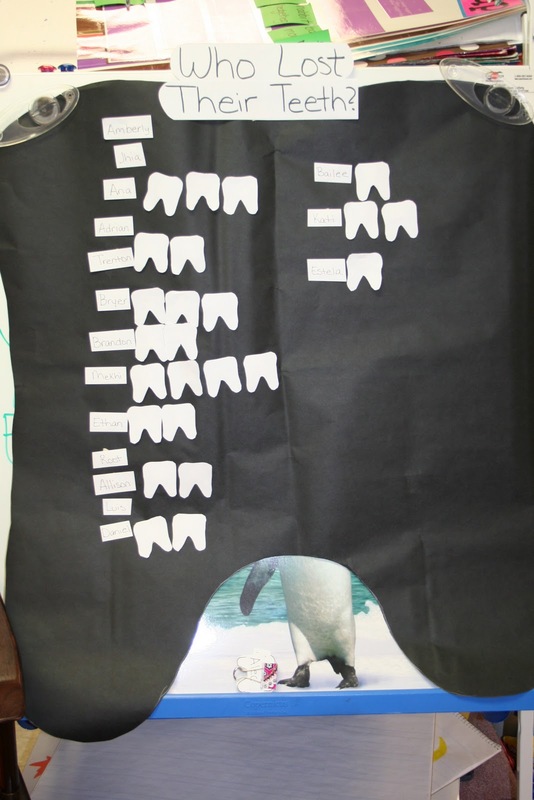 Mrs. B. had the kiddos graph how many teeth they have lost. Playing a blends game. They are getting so good at blends! Practicing telling time with foam clocks Mrs. B. found at a thrift store for CHEAP! Reading The Doorbell Rang by Pat Hutchins to practice fractions. Here they are having to "share" their cookies because two friends rang the doorbell and came in to eat. Yay! We all have one! Mrs. B. made cupcakes for us so we could be chefs. 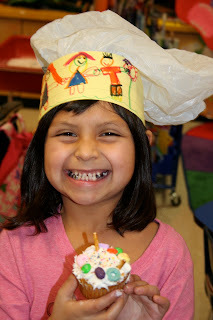 We decorated them with icing and lots of different toppings. O.K. Aren't these chef hast ADORABLE! I will be doing these every year! So cute! I would like to enhance my boring community worker unit and would love these neat printables!!! THANKS! I would love those printables, too!! You have great ideas! My jaw kept drawing lower and lower as I scrolled down the post! Seriously creative ideas in every single picture! love it!! Love what you're doing!! Here's an award!! Oops...wrong link! Sorry about that! HERE'S the award! Those are some fantastic ideas- it looks like your kids had lots of fun learning to read and do mathematics. Thanks for the inspiring post. Thank you so much for sharing all of your ideas! I love all of the pictures that you share, and your center ideas are inspiring :). I'm also awarding you with the Stylish Blogger award! These ideas are great!!! 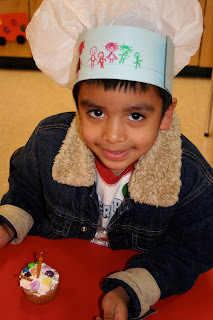 How did you make the chefs hats? Those are the cutest!!! 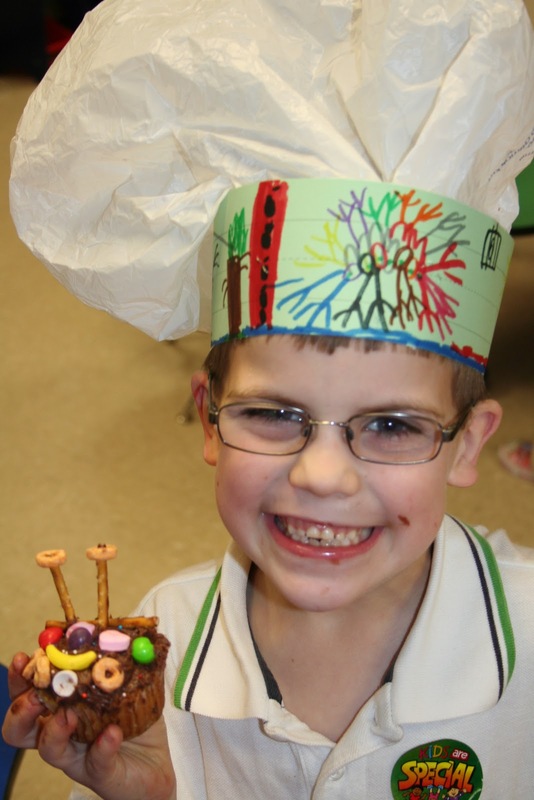 Such great ideas...and those chef hats look like fun! Thanks for sharing the ideas. Would love the printables too...if not I'll be busy creating my faves. :) Please let your student teacher know that she's doing great! I have to agree!! Pretty RoCkIn Community unit!! I will be "using" a few ideas tweaked for my classroom this week!! LOVE the way that you put the "jobs" into the student hands ...and LOVE the chef hats! How did you make those!! LOVE IT! You student teacher and you make a FANTASTIC team!! You and Mrs. B. are awesome! "A" played with her chef hat all weekend. Those were too adorable! Thanks everyone for the comments. The chef hats are just a wal-mart sack stapled to a sentence strip. They puff up on their own. If you requested printables and didn't leave an e-mail address, you can e-mail me at the address on my blog. Thanks! Click on over to my blog to read all about it. Thanks a million and a half for the great ideas!! I am a student teacher now and would love to adopt some of these ideas. We're getting ready to do our Community Helpers unit in a couple of weeks and right now it's only scheduled for one week...which basically ends up turning into 2 or 3 (max) sessions. How long did your entire unit last? I feel like we may need more time. This unit was a week long. I hope you can fit in all you want to! I sent the printables your way! I too would LOVE your printables. We're just about to start our career study, right after vacation! Wow, what great ideas! I would love a copy of the printables :) Thank you!!!! I am just wondering where you get all your printables, or if you use a certain program to make all your printables? I would request some ... but I am afraid I would want them all! Anonymous...I make almost all of my own printables and I get some from co-workers. I use Word and DJ Inkers clipart for EVERYTHING! Thanks for visiting. 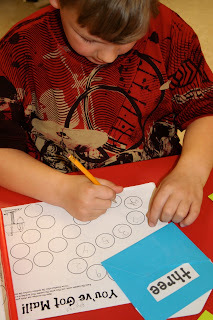 These are amazing activities...i hope you are able to share your printable with me. I would love to make these games for my classroom. PS Anyway you can post the PDFs online for us to access? Thank you so much for the inspiration!!! Can I get copies of this as well? Being a new teacher I must confess my activities are not as creative as yours. G'Day from Down Under. What an amazing lot of activities. My Year One teaching partner and I are just starting a unit on People in Our Community. Your blog is wonderful and so helpful. You come up with the most creative and cute ideas. Can I please get a copy of your printables too? Thanks! I love your blog! Inspiring! I'm planning a CH unit. If you are sharing your printables, I would love to have a setl Thanks! I have been off sick for the past 3 months and I am going back after spring break. We will just be starting our Community Helpers Unit and would love the printables. Thanks for inspiring me to get back into it. You always have great ideas. I love love your website and love your community workers unit! If you are willing to share your printables for this unit again would you mind sending them my way at dpynes@cox.net. Such great ideas! We are just about to start our Community Helpers unit... Would love the printables if you have a minute or two :) Thanks! WOW! All of your actvities looked like the kids were having so much fun learning! I really enjoyed seeing all your creative ideas! If you are still sending units out, I would love a copy of your printables. 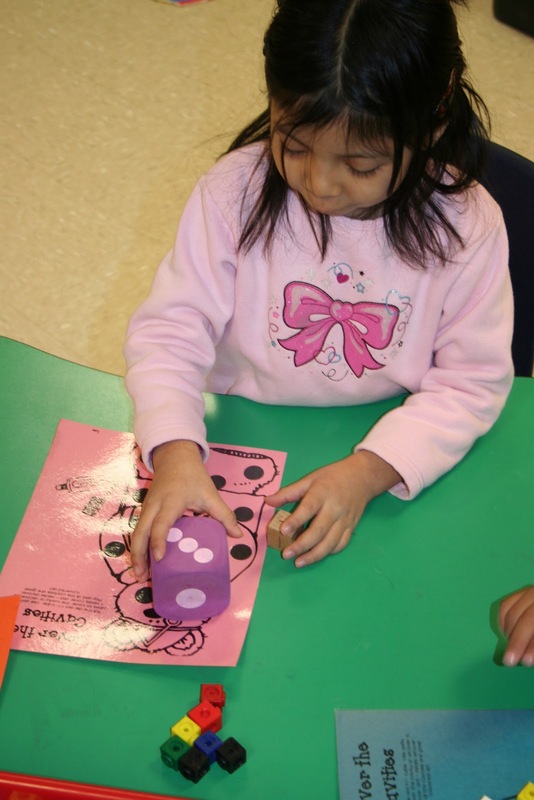 We just started Community helpers this week. This is my first year back to teach kindergarten in 9 years and it's so fun to see all these wonderful new activities, and yet so overwhelming!!! I am just finishing up my community helpers unit this week but would love to get copies of all your printables for next year and I still may use some in centers this year. I reallly I'm not too late on all these great units I'm finding! I have purchased others on tpt, but yours are by far my favorite! I am so glad that you have decided to send these out in exchange for Donors donations! May I please have this unit, too? By the time I get all these I've requested, I'll owe you a fortune! I would LOVE your printables.... such cute ideas!! Would you please share these downloads with me. I LOVE your things. They are perfect for kindergarten!!! We are starting community helpers this week and I was looking for ideas. I love the hats. I am going to look for a story to go with them so I can guarantee a reason to make them. I would love a copy of your center papers. Thank you so much for all you do. I would love to have the printables as well, if you are willing to share! Thanks! If you're willing to share, I love the printables too! More awesome and creative ideas! If you are willing to share, I would love a copy of the printables! I love the idea of Donor's Choice too! Love everything you have on here! I would love the printables too if you are still sharing them. Your community helper unit is awesome. If you are sharing I would love a copy of it. We are doing community workers in summer session. I loved your creative ideas. Did you post them somewhere? Please let me know where.If you are still sharing, I would love copies of your centers. Great ideas! Thanks! Loved your community helpers unit. I just found your blog and I'm loving it. Hopefully, you will share your printables with me. Super CUTE!!!! Thanks for sharing your ideas with us. They are awesome!!!! Could i have a copy of your printables please? 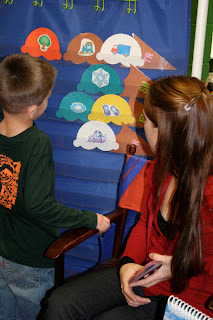 I know my kiddos will loves these activties!! Schafferk115@gmail.com Thanks! I would love a copy of your printables please!!! Adorable unit! If not too much trouble at this busy time of year, could you please send me a copy of your printables? I look forward to all of your post!!! Is there any way that I could get a copy of these printables? I will be glad to donate to your Donors Choose. This is amazing!! I'm a Kindergarten teacher and I tend to struggle in the area of creativity. I would love to "borrow" some of your ideas. I see people are asking for a copy of your printables. I would love a copy as well!! Thank you!! I love all your ideas and printables for your Community Helpers theme. I would love a copy. Thank you for sharing!! Hi Julie! I just stumbled across your blog tonight. I am SO inspired!! You are so creative! Would it be possible to request the printables from the community helpers unit? deannarose16@yahoo.com. Thank you SO much!! You are my latest and greatest blog that I follow. 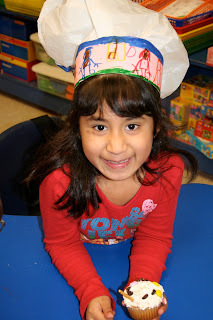 You are so creative and those kinders are lucky to have you and your student teacher. As we are getting ready to start our Community Helpers unit I would LOVE to have any and all of your printables. I love how you integrate so much with LA in this unit!! Keep sharing those ideas.. Love it my e-mail is pvthorson@gmail.com Super Thanks!! Agree with the comments above. If you are sending out copies of the printables, please include me! These are FABULOUS! Could I have a copy of the printables? Thanks so much for sharing. My email is breadnjelly@aol.com. Love your blog and fabulous ideas! Can I get a copy of these printables? I hope you are still taking requests! We do our community helpers with fire safety week coming up this next month. Would you be willing to share printables with me as well? Thank you so much for all you share! I love your ideas! I am a student teacher working on a community helpers unit, I would love your printable if possible. Thank you so much! Wow! I love your unit. If you are still sharing the printables I would love them also. Thanks for sharing your pictures. AMAZING!!!! We are doing our Community Helpers Unit next week and I would love a set of your printables to help enhance our unit. Please email me at nicole.surya@gmail.com THANK YOU!!! Hi I love your unit on Community Helpers! We are doing it next week, too! How did you make the chef hats? I make them each year but just fold tissue paper onto sentence strips.. it stick straight up and has a gap in the back for kids with larger heads. How do you make yours rounded on top? Can you email me your printables, too? I would appreciate it so much! Hello! I too would be very interested in your printables (if you aren't tired of emailng them out yet!) Thanks so much. OMG!!! You are sooo creative!! Do you have this one on your TPT site or if not do you share the printables? I always love to check your blog and see what you have been up to!! I love your website. I, too, would love a copy of these printables. They are awesome! This is my first time leaving a comment ever. Your website is awesome and I can't wait to check it everyday. I would love to have a copy of your printables for community helpers. Fantastic job! all of your work is beyond excellent! We are about to start our Community Helpers unit and I would love a copy of all of your super ideas. I love all your ideas and have bought a few of your units from TPT. If you would be willing to share now that would be great. If you are planning on posting the unit onto TPT, please let me know so that I can purchase. I LOVE YOUR STUFF!!!! Hi!! This is sooo amazing! You have come up with so many activities that I would have NEVER thought about! I loved how you incorporated so many subjects. I would LOVE copies of your printables if you would be willing to share. (Sharing IS Caring) NicoleColavita@yahoo.com. I love this! You are so talented. I was introduced to your blog by a friend and it's my favorite. :) I would love any printables you could share. Thanks!! Boy, would I love to be a kindergarten student in your class! We are beginning a K unit on community helpers next week, and I feel so fortunate to have found your post. If your printables are being made available I would love a copy to share with my colleagues. lcampion@kitteryschools.com Thank you for sharing your creative talent! debbilemi@yahoo.com Thank you for sharing your wonderful and creative ideas. December 19, 2011 2:43 P.M. I would love a copy of the printables as well! I would love a copy of the printables if your still willing to share! :) Awesome ideas! Your site is the most amazing K site I've come across in 5 years. Please send me a copy of your printables. I would love a copy for my upcoming unit! You rock! And the chef hats are ADORABLE! Thank you! Are you selling your printables on TpT? I would love to be able to incorporate some of your independent activities into my table rotations. Wow! 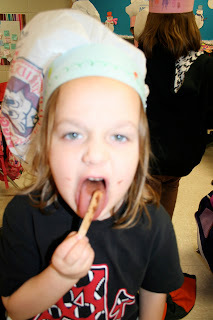 I am in awe of the fun learning happening in these pictures! I would also REALLY APPRECIATE a copy of these printables! I absolutely love your ideas! It seems as if you let themes drive your instruction and immerse the children in real-life learning. Please! Please! Please share your printables. I am doing my student teaching in kindergarten and need as much help as I can get. Thank you. Can I get a copy of your printables?? They are super cute and very creative! Your hat idea is the cutest thing I've seen in so long. Thanks for sharing all your great ideas! LOVE the tool belt too!! Any chance you are still emailing the printables for this unit? Love them! I love your ideas! Is there any chance you could email me the printable for this unit? My students will love them. Thanks!!!! AMAZING stuff here! I'm a new teacher and could REALLY use some help, a.k.a. your printables for this unit, since it's this week for us! My email is lpbytp@gmail.com. I would appreciate it so much -- Thank you for sharing your classroom ideas! I love your community helper ideas! You are so creative! Can I get a copy of your printables? Thank you for sharing! I am a first year Kinder teacher. And I absolutely love your ideas. I would like copies of your printables for this unit. Thank you for your amazing ideas! I am loving your community helper unit ideas!!! If possible, can you share some of your printables with me? I appreciate all your hard work! Love your ideas! They're super duper great! We will be having our career day next week.. any chance of you sharing those printables with me? Please.. please.. would greatly appreciate it.thanks! I would love a copy of your printables. Thanks so much! Fantastic blog! These ideas are awesome! I love the creativity and will definitely be incorporating the chef/baker hats in my unit. If you are still sharing your printables I would love a copy. Thanks so much! I would love a copy of your printables. I need to change up my unit. I love the awesome ideas. Thank you very much for your time. 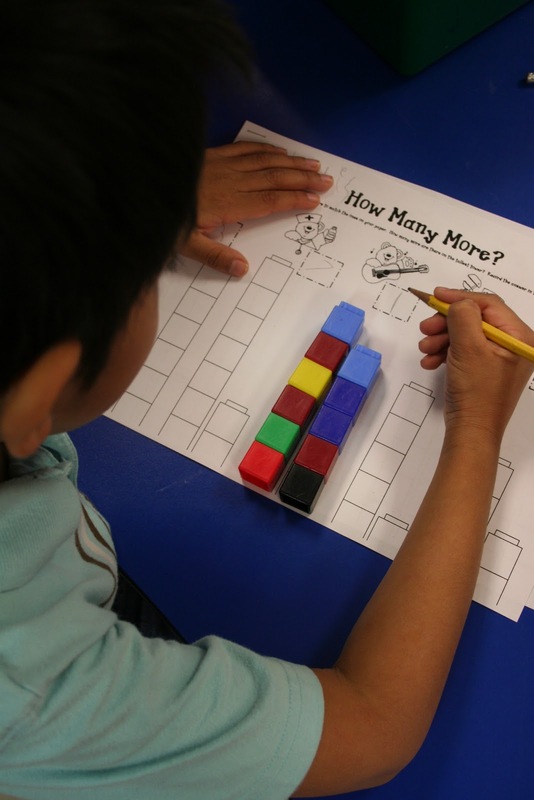 I LOVE your site and all of the fabulous teaching ideas. I also really love all of the printables on here! They would be perfect for my next unit of study that I will be starting very soon. If you wouldn't mind and are still emailing them, could you email them to me as well? I would appreciate it VERY much!!!! Wonderful ideas! Very creative and inspiring. I would love to have a copy of your printables if you have the time. i also would like to have printables and instructions on your lessons. Room looks great lots of learning going on and with meaning. Please help me to be a better teacher. I love your ideas- they are so creative. These activities would be great for my new ESL students. We are starting a community unit next week. If you could share your printables, that would be AMAZING! I am currently student teaching in a Kindergarten classroom and would love to get a copy of your printables as we're starting a unit on Community Helpers in 2 weeks! I will definitely be referring to this blog for a long time! I too am getting started on Community Helpers. I just found you and would love, love ,love to have your printables. How do you make the cute bakers hats? I'd love to have your printables! Thanks so much!! Just bought your Happy Helpers unit. Love it! 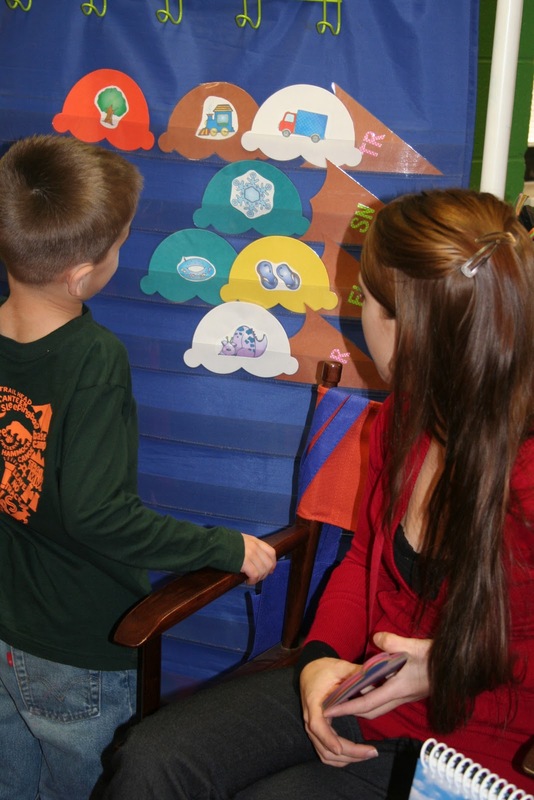 Are your printables available for the Community Helper unit? Would love to have them, if possible. Thanks for all of the wonderful ideas! If you are willing to share your printables I would love to share them with my teammates. My e-mail is hleach@albertlea.k12.mn.us. Thanks for sharing! I love your ideas. Thanks for sharing! The children in your class are lucky to have you as a teacher! I too would love a copy of the printables to use with my students. I have gotten so many great ideas from your website. I can not wait to use them in my classroom. I would love a copy of the printables to use with my students. mkrynicki@duplinschools.net Thanks! I love your blog and follow it faithfully. I love the font you used on the Can I Take Your Order worksheet. Can you tell me where you got that one??? PLEASE, pretty please with suagr on top may I have the printables to go alog with these fantastic ideas!? We are doing an exhibition of learning this year at my school. The topic for Kindergarten is Community Helpers/Careers. I would love the printables if possible! I absolute love how you presented this unit! I will be doing community workers next month. I would love to be able to use the printables in this post. Could you please email them to me. LOVE LOVE LOVE it! Super creative ideas- thanks for sharing. May I please have a copy of the printables? I am also a student teacher and I am also going to be focusing on community helpers for one of my units and would love a copy of your printables. Your ideas are amazing and your creativity is inspiring! I would love to have a copy of the printables! I was just blown away by the creativity and the amount of work and love put into these lessons. I am a student teacher myself and would really appreciate these printables to bring into my own kindergarten classroom. I would love copies too! Great ideas! I teacher pre-K, but I could tweek this a little. how did you make the chef's hats too? Those are adorable! OK, I am super jealous of your creativity! Your blog is my new favorite! Thank you for sharing. Could I please have the printables from your community helper unit? kbanta85@gmail.com You guys are awesome! Keep it up! 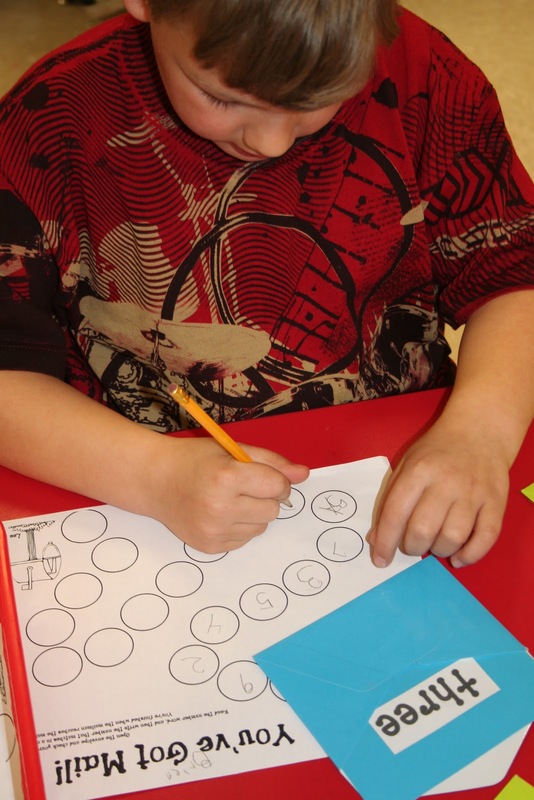 love your site and all your great ideas...are the printables/center activities available in your TPT store? If not, can you possibly e-mail them to me as well? You are truly an inspiration and I'm quite jealous of your student teacher. Thanks for all your wonderful ideas and I hope one day I will have the amount of creativity you have! I love your website/blog! 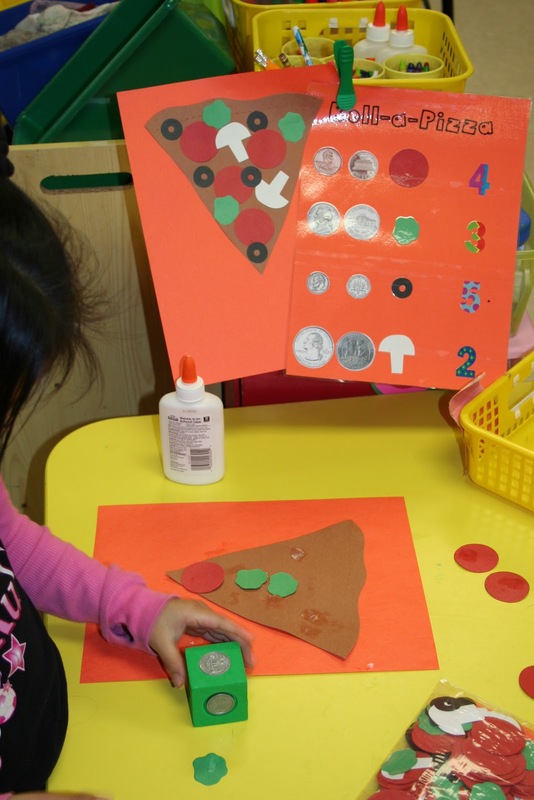 Came across it today when searching for Community Helper ideas. Definitely awesome and can't wait to check out more! Would love some copies of your printables for next week, if you have a chance. Thank You! Wow! I am thoroughly impressed with all the great ideas! Would it be possible to get a copy of the printables as well? Just when I thought community helpers was going to be dull, boy was I wrong! Your ideas are amazing, thanks so much for sharing! I would love a copy of the printables, if you have a minute to send them. I love all the creative ideas!! I would love a copy of the printables for this theme if you're still sharing! Thanks you!